BR Softech is an IT company offering feature-rich custom and client-oriented IT consulting services, website designing and development, Mobile App Development, Game Development and Cryptocurrency Development Services. BR Admob is a place where you can advertise your brand, products, and services. BR Chat is a readymade chat app solution. BR Chat Bot is a white label chatbot solution for your business. BR Classified is a readymade classified advertising app solution for Android, iPhone and Web. BR Fantasy is a fantasy sports app development solution. BR Food Ordering is a food delivery app solution. BR Hardware Intelligence allows you to connect hardware devices to your mobile phone. BR Internet of Things is a high end IoT application development service to enhance the productivity of business and turn living into smart living. BR Khach Khach allows you to edit photos and share them with your friends. BR Kiosk is a readymade kiosk payment solution. BR Loyalty is a loyalty program app solution. BR Matrimonial allows you to create your own highly functional martimonal app and portal. BR Shipping allows you to simply manage your shipping reports and details all in one place. BR Shopping is an ecommerce store solution with options for Android, iPhone, and web. BR Social Networking is a social network solution for Android, iPhone, and web. BR Stock Management allows you to organize your inventory, order and sales. BR Taxi is a white-label taxi app development solution. BR Video allows you to upload and share your videos. BR Video Editing is a video editing app solution that offers sound effects, filters, a music library, and more. BR Softech offers e-commerce website development on a variety of platforms. BR Softech offers app development services for iPhone, iPad, Android, and Windows phones, as well as cross-platform services. BR Softech's Web Development team are UI/UX experts who can make your website dreams a reality. 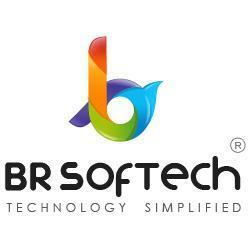 BR Softech has experience with multiple frameworks and platforms. Their developers can craft intuitive and innovative websites.